In this white paper, we review a successful small molecule drug discovery project conducted by a team of scientists from Genentech and Charles River that spanned hit identification and lead optimization of a highly potent LRRK2 inhibitor. Ensuring that the cell culture media is comprised of the optimal formulation for growth and is free of impurities is vital to the success of biopharmaceutical development. This e-book presents one solution for measuring all key media components. By reading this white paper you will learn about the challenges associated with the discovery and development of therapeutic antibodies – an especially promising and lucrative field for the biopharmaceutical industry. The white paper discusses the benefits of using large antibody panels for screening and interrogating the epitope diversity of the whole panel in early-stage using Array SPR (Surface Plasmon Resonance) to accelerate discovery. Researchers can now realize the full kinetic and epitope potential of their antibody libraries. Download this white paper to learn how Array SPR kinetics and epitope binning assays will improve your drug discovery efforts. Here we conduct a study into the behavior and stability of IL-2 using microfluidic diffusional sizing (MDS) in order to observe native state, in-solution responses. The tendency to oligomerize at varying concentrations, and the stability (particularly propensity to aggregate) under changing buffer conditions are investigated. Stunner - The one and only biologics quantification and quality combo. Stunner pulls double-duty so you don’t have to. It’s the only system out there that takes UV/Vis concentration and Dynamic Light Scattering (DLS) size measurements from the same sample at the same time. Nail down your protein quality by knocking concentration, hydrodynamic size, polydispersity, and detection of aggregates off your list in one shot. Without skipping a beat, you can also measure the colloidal stability of your samples or design your own custom apps. Labguru is a secure, compliant, web and cloud-based, Electronic Lab Notebook (ELN) that enables biotech, life sciences, and pharma companies, as well as academic institutions, to run their labs more efficiently and maximize their research output. It’s trusted by over 30,000 users worldwide who rely on it to plan and document experiments, track progress, streamline lab logistics and share results. Independent test results confirm the new VIP ECO® upright ultra-low temperature freezer has the lowest total daily energy usage in its class in the industry. Download the white paper to get more details of key performance metrics from independent ENERGY STAR® testing. Is Your DART Study Set Up to Fail? Download whitepaper. Taking place at a critical juncture in drug and vaccine development, Developmental and Reproductive Toxicology (DART) is a highly specialized science that companies simply cannot afford to get wrong. Getting the science right is extremely critical. Is your DART program subject to critical missteps that will place you at risk of program failure? Here’s how to tell. Antibiotic resistance is a serious, globally extensive problem that significantly affects patient morbidity and mortality. Here, we discuss the emerging threat of antibiotic resistance and the importance of clinically relevant reference materials for use in assay development and drug discovery. Neurobehavioral testing provides critical insights into how drugs and chemicals affect the nervous system. This Whitepaper covers the considerations in the Design and Execution of Neurobehavioral Studies. Pipettes should be calibrated annually to maintain their perfomance. In the interim, it is recommended to perform a routine check to test the functionality of your pipettes in order to be confident with your pipetting results. Follow the guidelines below to properly perform such a routine check. This study including tips from 15 different manufacturers proves that a pipetting system working perfectly with a certain tip exceeds the permissible error tolerances when a tip from a different manufacturer is used. We have developed a novel technique capable of probing terminal monosaccharides on proteins using SDS-PAGE. This technique does not require expensive equipment and is more specific than comparable methods. Additionally, it offers any laboratory the ability to gain a greater understanding of the glycan profiles of their protein of interest without significant investments. Here we demonstrate the ability of the Cytation™ 5 Cell Imaging Multi-Mode Reader and Gen5™ Microplate Reader and Imager Software to determine infection levels of HIV with HeLa cells in culture. BioTek The imaging and analysis of fluorescently stained cells has traditionally been accomplished using manual microscopic methods with low numbers of samples. Here we describe the use of the Lionheart™ FX Automated Live Cell Imager and the CellASIC ONIX2 perfusion micro-incubator to rapidly image and analyze perfused tissue culture cells in multiple fluorescent colors and brightfield. Real-Time Cell Health Monitoring, Cell-by-Cell, in 2D and 3D in the Far-Red. INTEGRA, in conjunction with DPX Labs LLC, has produced an application note that describes a novel high throughput semi-automated sample method for processing urine samples ready for drugs of abuse analysis by LC-MS/MS. Using an INTEGRA VIAFLO 96 electronic pipette with DPX mixed mode tips, a single 96-well plate loaded with samples can be extracted and ready for LC-MS/MS analysis in less than ten minutes eliminating the need for a time-consuming evaporation step. For a copy of this new application note please click here. JAX® offers humanized NSG™ and NSG™-based strains with additional manipulations of the host (including the NSG™-SGM3 strain that expresses the human cytokinesIL-3, GM-CSF, and SCF) for an enhanced ability to recapitulate specific functions ofhuman disease in vivo. High resolution imaging flow cytometry provides comprehensive analysis of live mixed algae cultures and assesses high value commodities in algal biomass. NSG™* mice are a proven host for engraftment of human tumors or establishment of human immunity following hematopoietic stem cell transplantation. Here, we provide evidence that humanized NSG mice can support the growth of allogeneic human tumors. Cells of the innate and adaptive immune system defend the host from pathogens while remaining tolerant to self antigens, and dysregulation of the immune system can result in autoimmunity or infection. Immune cells sense their environment by binding and processing soluble mediators of inflammation or through direct contact with other cells, resulting in signal transduction and activation or suppression of effect or function. can be done manually with a traditional hemocyotmeter and microscope or with an automated cell counter, such as the Invitrogen™ Countess™ II FL. will be covered include initial factor screening, construction of a central composite DOE, response surface modeling, assay optimization, model validation and assay performance. Measuring autophagic flux by assessing LC3, p62 and LAMP1 co-localization in Jurkat cells using imaging flow cytometry. Humanized NSGTM* mice are used by researchers and drug discovery scientists as powerful tools to study hematopoiesis, inflammatory disease, viral host-pathogen interactions, and are accelerating the development of novel therapies in oncology. How to select the appropriate model for your research are important considerations for conducting impactful research using humanized mice and are the focus of this paper. For the vast number of scientists that undertake handheld pipetting protocols - INTEGRA has produced a highly informative illustrated 'Best Practices' guide. Drawing upon decades of pipetting experience - INTEGRA has compiled an unbiased series of hints and tips to help you improve your handheld pipetting. Expert advice is provided in areas including before you start, how to pipette and optimising pipetting performance. Each area of best pipetting practice discussed is backed up with an explanation of why this produces optimal results. Commonly used air displacement pipettes are highly accurate for most liquid dispensing applications. However, the viscosity, volatility, surface tension, and temperature of the solution can adversely affect the performance of these air displacement pipettes. microenvironment. Such a model will be useful for drug screening, basic research, and personalizedmedicine providing one of many needed tools to facilitate more physiologically relevant assessmentsof cancer cell behavior. Today, cell biologists are looking to new methods, like next-generation sequencing, to investigate the genetic underpinnings of disease biology and generate hypotheses for further studies that analyze gene expression and protein function. Removing and/or replacing hundreds of plate seals at a time can represent a formidable and painstaking challenge. This paper reviews how high-throughput screening (HTS) and high-content screening (HCS) laboratories discovered hidden productivity improvements using new adhesive-based de-sealing technology. High Purity Oligonucleotides are used for standard molecular biology techniques such as qPCR, Next Generation Sequencing, and microarray analysis. Full-length products need to be separated from truncated sequences, inhibiting salts, and base protecting groups. Gilson has developed a liquid handling platform configured with automated preparative and analytical HPLC capabilities to isolate, analyze, and desalt reagent-grade oligonucleotides in one continuous run..
36-page technical introduction to designing, constructing, and using synthetic genes. What is gene synthesis? How does it differ from traditional molecular cloning? Why is gene synthesis a revolutionary tool, and how is it performed? Includes: case studies from cancer, structural biology, vaccine development, neuroscience, plant biology, and synthetic biology; oligo design tools and assembly methods; and 54 peer-reviewed references. Here we describe an ELISA based Pharmacodynamic Assay (PDA) to measure the formation of γ-H2AX. Such an assay will be useful for drug screening, basic research and upcoming clinical trials providing one of many needed tools to support hypothesis-driven drug design strategies. Cytation™ 3 is a cell imaging multi-mode microplate reader that combines automated digital microscopy and conventional microplate detection. This patent pending design provides phenotypic cellular information with well-based intensity data. MultiFlo FX is a modular reagent dispenser for 6- to 1536-well plates, dispensing volumes as low as 500 nL. An available wash module adds multi-purpose functionality. Quanterix' ultra-sensitive diagnostic platform, the Simoa HD-1 Analyzer is capable of measuring individual proteins at concentrations 1000 times lower than the best immunoassays available today. The Single Molecule Array (Simoa™) technology at the heart of the platform enables the detection and quantification of biomarkers previously difficult or impossible to measure. 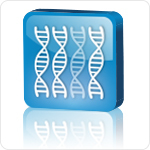 Many nucleic acid purification applications have been previously automated on the Eppendorf epMotion 5075. The exception is purification of DNA from difficult samples high in PCR inhibitors, including soil, turbid water, biofilms, and human gut samples. While highthroughput purification of DNA can be achieved using 96-well silica plates, this method is time-consuming and not hands-free. This Application Note describes the successful automation of DNA isolation from these sample types with magnetic bead-based technology from MO BIO Laboratories. MultiFlo™ FX is a fully modular, automated reagent dispenser for 6- to 1536-well plates offering BioTek’s unique Parallel Dispense™ technology - both peristaltic and syringe pump operation down to 500 nL. An available microplate wash module adds multi-purpose functionality. A fully configured MultiFlo FX replaces up to five liquid handlers. Knowledge is Power: Why Using ATCC’s Annotated, Authenticated Tumor Cell Lines for Cancer Research Matters. The availability of sequencing data is making it possible to use cell lines to tie oncogenic events to their underlying genetic cause and to examine cancer from new perspectives. However, given the potential cost of using cross-contaminated materials it is important to start your experiments with authenticated tumor cell lines or panels, such as those available from ATCC. Executive Summary Primarily used in the field of life sciences, the Eppendorf ThermoMixerTM C is a device for the temperature control and mixing of liquids or samples. The device offers a wide temperature control range (1 °C–100 °C), high flexibility with the use of diverse tube and plate formats and advanced mixing performance with the 2DMix-Control technology and a mixing speed of 3000 rpm. With the new technology condens.protect®, the Eppendorf ThermoTop® prevents condensation on tube lids or plate sealing foils. SDIX® has developed an antibody engine (mAb discovery engine) for discovery of antibodies to transmembrane proteins like G-protein coupled receptors (GPCRs). The mAb discovery engine generates panels of diverse antibodies in terms of sequence, somatic hypermutation, epitopes, and performance. The mAb discovery engine is a platform that is capable of routinely generating antibody candidates that are diverse, functional and novel. Differentiation and reprogramming techniques are imperative in stem cell research and require virus-free applications for biotherapeutic and new drug development. Mirus Bio presents a suite of TransIT® Transfection Reagents and an Ingenio® Electroporation Kit that are high efficiency, low toxicity DNA and RNA delivery solutions validated for a variety of stem cell applications. Akonni Biosystems has developed the simple and effective ultra-rapid TruTip® automated extraction method designed to isolate genomic DNA from low volumes of whole blood for downstream genetic testing including any type of PCR, sequencing and microarray detection. The tip-based extraction technology is paired with the advanced, proven and reliable Hamilton Microlab STAR liquid handling system for high throughput sample processing. mutants thereof, all of which have immunoglobulin-like beta-sandwich domains, were investigated using dynamic multimode spectroscopy (DMS) with automated circular dichroism (ACD). It is shown that the mutants are significantly more stable than the wild-type, that the folded and unfolded protein conformations for all variants are similar, and that aggregation accompanies unfolding. To decrease the frequency of system repairs and contamination, a series of steps have been outlined for maintenance and care of a chromatographic system and columns used for the analysis of biomolecules. As Contract Research and Contract Manufacturing Organizations (CROs and CMOs) continue to evolve and provide increasingly important contributions to their customer’s discovery and development priorities, implementing a customer-focused approach to corporate library services can turn a repository for dated literature into an invaluable information center for the library’s constituents. Analyzing catecholamines and their metabolites in patient urine samples is important for sympathoadrenal system tumor diagnosis. This application note discusses the automation of sample preparation and solid phase extraction (SPE) with the CIinRep Complete Kit (RECIPE Chemicals + Instruments GmbH) using the Gilson ASPECTMXL or GX-274 Liquid Handler. Following SPE, fractions were analyzed via HPLC for analytes VMA, HVA, and 5-HIAA using an electrochemical detection (ECD) method. Abstract Automated Circular Dichroism (ACD) was used to determine the thermodynamic stability of a protein by chemical denaturation. In an effort to improve the antibody manufacturing platform, newer cation exchange resins were evaluated in this study. Dynamic binding studies were conducted using 2 different monoclonal antibodies at a stable pH and varying conductivities across nine resins to determine the differences in binding capacity. This paper presents the Perfinity Workstation, a fully-integrated online protein sample preparation workstation, combining the selectivity of immunoassay approaches with the resolution of HPLC. It utilizes multiple proteomic approaches to rapidly and reproducibly perform affinity selection, buffer exchange, trypsin digestion, desalting of the sample and reverse phase LC analysis. All of these processes enable the generation of purified peptides ready for LC-MS analysis in about 10 minutes, and result in peptide maps of exceptional reproducibility (<10% CVs). This application note provides a quick comparison of three pharmaceutical compounds using high pressure normal phase and low pressure flash chromatography on the Gilson PLC 2020 Personal Purification System. Comparison of peak shape, peak retention time, chromatography run time, fraction volume, and solvent consumption were all studied to determine the most efficient and optimal chromatography method. Circular Dichroism (CD) spectroscopy is an extremely sensitive technique to analyse the conformation of proteins in solution and can be used as a fingerprint of a particular protein structure [Greenfield, 2006]. Due to the very low sample volumes required and the simplicity of the measurement, it is a powerful comparative tool to detect differences in structure between proteins. This paper discusses how Chirascan™-plus ACD presents easy-to-obtain, highly reproducible results while achieving high throughput, previously not available for Circular Dichroism. Using advanced robotics combined with the 96 or 384-well plates, Chirascan™-plus ACD can rapidly prepare many replicates and perform multiple measurements for clear determination of standard deviations. Presented here is a new method for in situ RNA detection, the Stellaris™ FISH technology, which enables simultaneous detection, localization, and quantification of individual RNA molecules at the cellular level. This technique provides a high degree of specificity and sensitivity, is ideal for applications that analyze transcription site activity, protein- RNA interactions and mRNA translocation events, and holds promise for future diagnostic applications. Too often, virtual screening has failed to deliver useful results. The data from your past projects is high quality, but may be focused on the wrong area and lack diversity. This new white paper from InhibOx describes how companies can build and rapidly search very large, high quality virtual libraries, starting from their own reagent collections and chemistries, providing a platform for successful virtual screening. Expresso® Cloning and Protein Expression Systems enable you to effortlessly clone your gene and express protein the next day. PCR amplicons are directly mixed with cloning-ready vectors and competent cells to yield >90% recombinants, with no ligation step. Expression is tightly controlled. The optional SUMO fusion tag increases solubility. Profiling of putative lead compounds against a representative panel of important enzymes, receptors, ion channels and transporters is an excellent way to establish a preliminary view of potential issues that might later hamper development. An early idea of which off-target activities must be minimized can save valuable time and money during the preclinical lead optimization phase if pivotal questions are asked beyond the usual profiling at hERG. The best data for critical evaluation of activity at GPCRs and ion channels is obtained using functional assays, since binding assays cannot detect all interactions and do not provide information on whether the interaction is that of an agonist, antagonist, or allosteric modulator. This overview discusses the benefits of in vitro assays, specific decision points where profiling can be of immediate benefit, and highlights relevant profiling services offered by EMD Millipore. plus five housekeeping genes, and three controls. DNA repair proteins maintain the stability of the genome. When repair protein function is impaired through mutations, the genome may become unstable which is a hall mark of solid tumors. Trevigen, Inc. is pleased to announce the availability of nineteen DNA repair gene knockdown cell lines, encompassing the Base Excision Repair pathway. The availability of this panel of target specific LN428 glioblastoma shRNA lentivirus transduced cell lines will permit scientists to study the molecular etiology of tumor genomic instability and to exploit it in oncology research. Fragment-based lead discovery is establishing itself as valuable approach for the discovery of novel small molecule leads. It relies on establishing a better understanding of the binding mechanism of a ligand for its binding partner by probing for “hot spots “on the protein target with small molecule fragments (typically <300 Daltons). Its simplicity is in the principle of building a pharmacophore from the ground up. Successful selection requires data on binding affinity as well as extensive SAR information provided by a variety of techniques . . .
CDAS has created GPCRFunctional™ Label Free service programs to offer more relevant assay development, screening, drug activity and receptor characterization studies in a more physiological cellular context. Developing mechanistic models that can help drive hypotheses and explain disease and its progression is a challenge for drug discovery and development companies. This white paper discusses how an in silico approach to defining punitive disease models can assist researchers in their efforts to find novel drug targets, elucidate drug toxicities and find new indications for existing therapies. The RT2 Profiler™ PCR Array System is the most reliable and sensitive gene expression profiling technology for analyzing a panel of genes in signal transduction pathways, biological processes, or disease related gene networks. From Sample Preparation to Data Analysis, the PCR Array system employs four components that Guarantee assay performance, yielding high-quality, reproducible, and reliable gene expression data. The Accuri® C6 Flow Cytometer® represents a dramatic step forward in flow cytometry and cell analysis. Now researchers have access to a high-capability analytical cytometer at an affordable price. The benchtop-sized C6 makes a powerful research tool available to a much wider range of life scientists. This article examines a variety of biological applications that take advantage of the C6’s cellular analysis capabilities. Progressing pipelines withPre-clinical CRO Partnerships. A case study in successful outsourcing to meet objectives in licensing/acquisitions, repositioning/therapeutic expansion and customized applications for screening of NCE/biologics. The Accuri C6 Flow Cytometer® System represents a dramatic step forward in flow cytometry. The LanthaScreen® Eu Kinase Binding Assay is an easy to optimize kinase assay for screening and multiple downstream application. This modular assay format has been validated for use with over 200 kinase targets. In this application note, we present a simple for measuring inhibitor off-rates. 2nd Generation PARP in vivo Pharmacodynamic Assay: In this article we present information regarding Trevigen’s 2nd Generation PARP Pharmacodynamic Assay. We provide validation data and accelerated shelf life data regarding key assay components for the new assay format which features: a 96 well assay plate pre-coated with PAR capture antibody, extended dynamic range, and high signal to noise ratios. Significant advantage can be gained by organizations utilizing high performing virtual teams working with early stage drug development projects. This paper chronicles the experiences of Dr. Whitehouse and Mr. Smith with such high performing virtual teams in early stage drug development projects and provides lessons to others seeking to deploy similar models. Business Process Management (BPM) has emerged as a proven technology that helps companies meet objectives and gain competitive advantage.